Happy Wednesday, Friends! I have another free to use pattern to share with you. It’s Dino Craze this time, designed with Benartex’s 10,000 B.C. fabric collection. 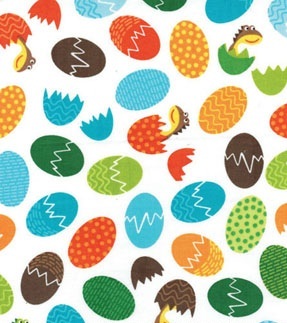 My favorite print in this collection is that multicolor dino egg print!! Dino Craze certainly qualifies as a kid’s quilt. 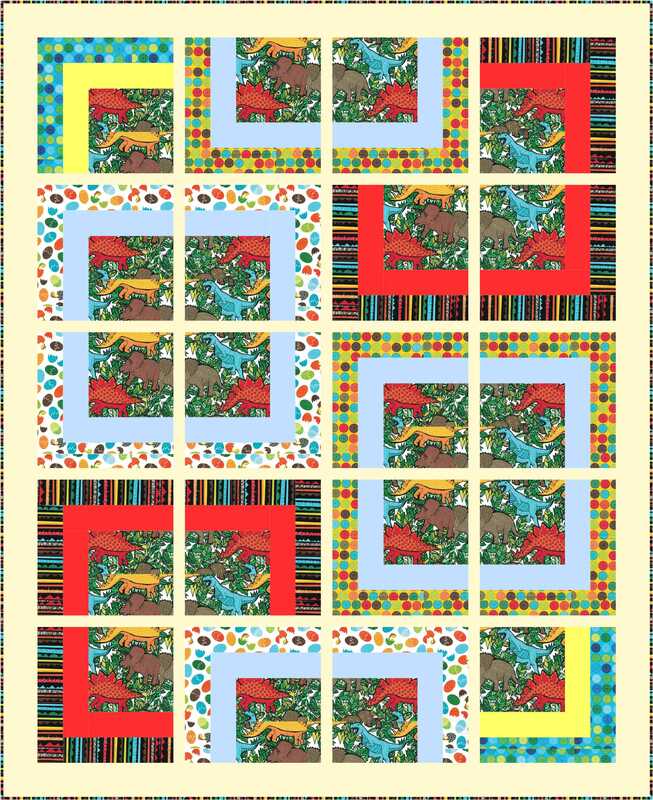 But I had actually designed the quilt with the idea of it being used as a home dec quilt for a den or playroom. But you can actually have lots of fun doing fabric substitution with this design. Thanks for stopping by! Mid-week blessings to you all! This entry was posted in Quilt Pattern, Quilting and tagged 000 B.C. Fabric Collection, Benartex 10, Free Quilt Pattern, Wendy Sheppard Designs. Bookmark the permalink. My five year old kinder, almost first grade, granddaughter would absolutely LOVE this Dino quilt. She absolutely adores dinosaurs, and she knows EVERYTHING about each them. Thanks for sharing this fun quilt. This is a super cute quilt, perfect for a little boy. This is such a creative, interesting and versatile quilt.